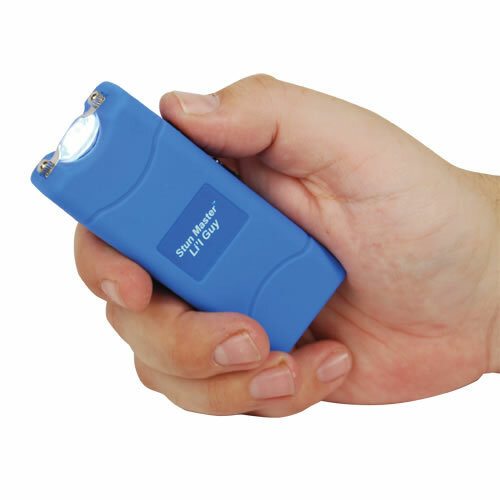 Stun Master Lil Guy Stun Gun - Rechargeable with Flashlight - Tiny, Yet Powerful! 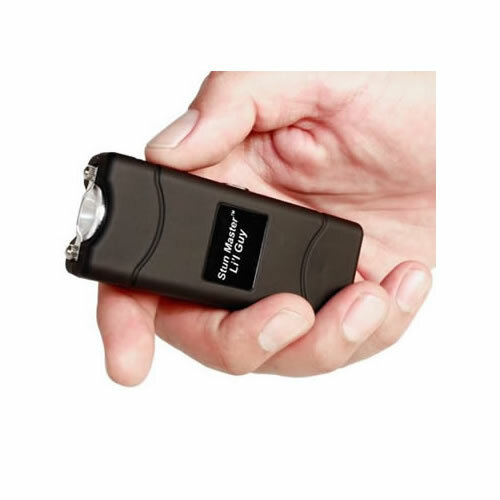 Stun Master Li'l Guy 12,000,000 volts Stun Gun with flashlight and FREE Nylon Holster. 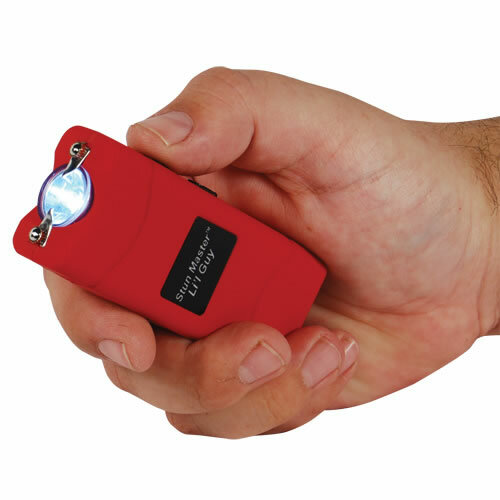 This stun gun is small and compact and is easy to conceal in your hand. 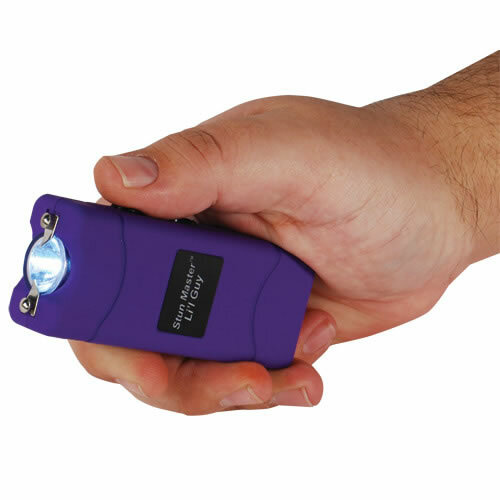 This little guy of a stun gun is now one of our highest voltages! 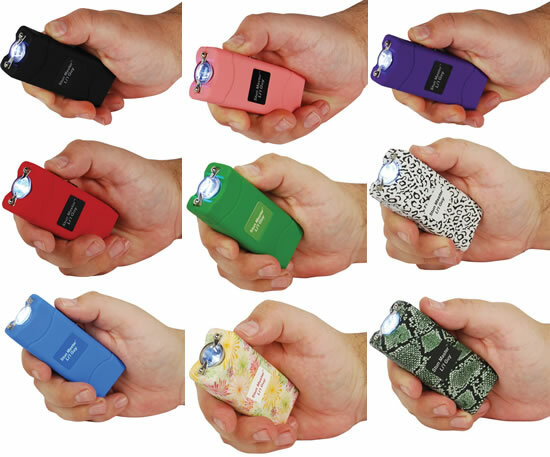 No need for bulky or oversized clunkers anymore. 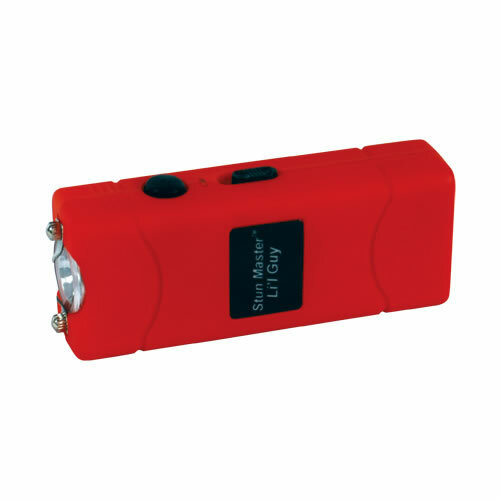 All your protection needs in one small package. 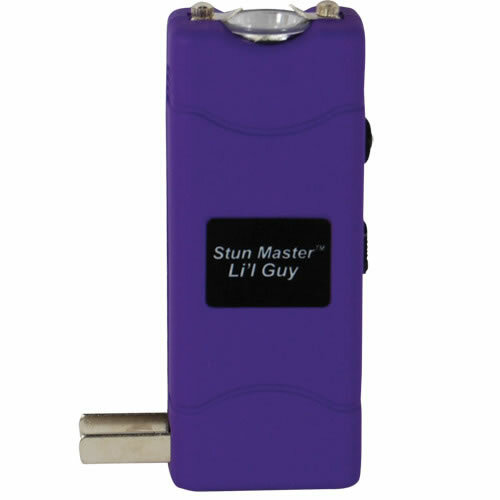 Don't let the name Stun Master Li'l Guy fool you. It has a beast inside just waiting to be released. 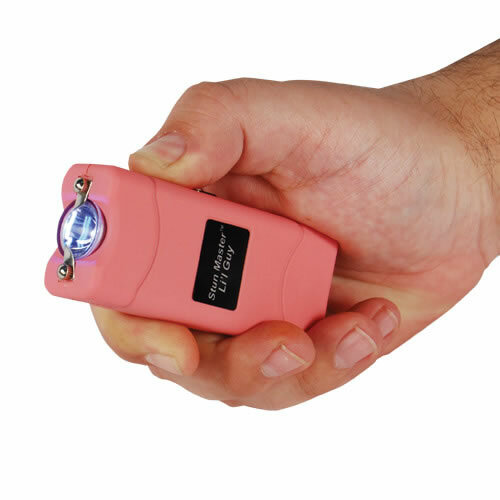 Just press the shock button and the Lil Guy thrashes 12,000,000 volts out of the metal probes. 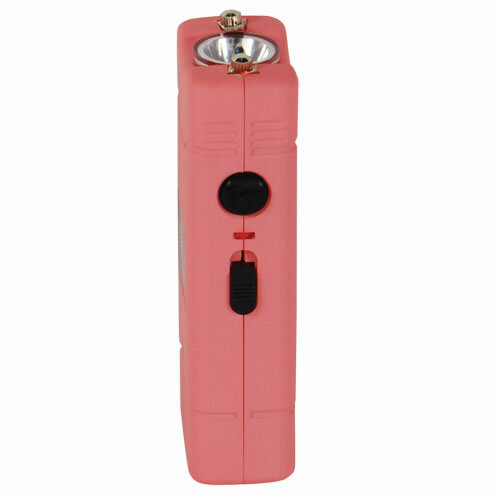 Easy Operation: The safety switch is off when in the down position, middle position is the super bright LED flashlight, and in the up position, the shock is turned on once the trigger is pressed. 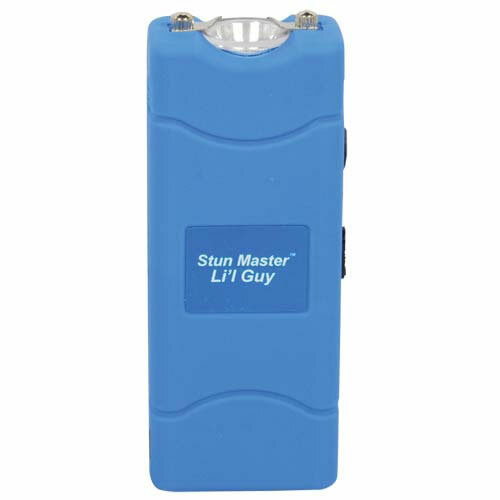 It Measures only 3-3/4" x 1-1/2" x 3/4"
You can see full instruction on How to Use the Stun Master Lil Guy Stun Gun.